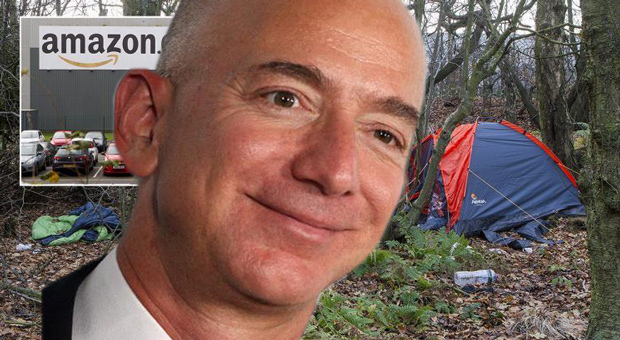 Amazon founder and CEO Jeff Bezos have enjoyed a massive $40 billion increase in wealth making him the world’s richest man while Amazon employees are forced to sleep in tents. Jeff Bezos’s net worth crossed the $140 billion according to Forbes, but an average Amazon Employee makes just $12,000 before taxes assuming salaries have stayed more or less the same. 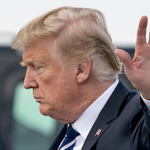 Time reports: On Tuesday, while the stock market pushed Amazon shares to yet another record high, Jeff Bezos’s net worth crossed the $140 billion mark for the first time, according to Forbes. Bezos started 2018 with a net worth around $100 billion, so he is up more than $40 billion so far this year. In other words, Jeff Bezos’s wealth has increased as much in slightly over five months as it did for all 12 months of 2017. Jeff Bezos’s net worth has climbed in rapid-fire fashion as Amazon stock prices have soared, rising from roughly $1,200 at the start of 2018 to nearly $1,700 per share in intraday trading today—an increase of about 40%. Bezos’s wealth theoretically increased $10 billion within the first two weeks of the year, and he was up $30 billion by early March—at which point, according to our calculations, Bezos was making an insane $230,000 per minute. Meanwhile, the median Amazon employee’s salary in 2017 was $28,446. During the first five months of this year—when, again, Jeff Bezos saw his net worth rise $40 billion—that median-earning Amazon worker worldwide has made around $12,000 before taxes, assuming salaries have stayed more or less the same this year.